Kim Johannesen/Svein Magnus Furu - The Eco Logic, Creative Sources, 2009. 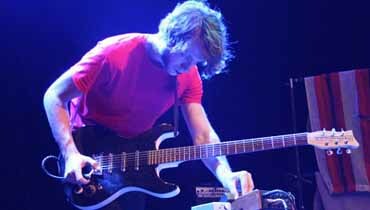 Johannesen:Furu:Sandbakken - Kayak, AIM Sound City, 2009. Jeremy Rose Chiba - I Saw Blue Then White, Earshift Records, 2009. Petter Wettre - Appetite for Structure, Houshold Records, 2008. State Academy of Music in Oslo. Skar/Kirkevold/Johannesen & in duo with Svein Magnus Furu. Tatsuya Nakatani, Joel Grip, Lene Grenager, Dejan Terzic a.o.